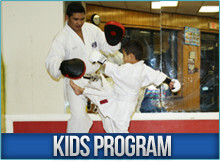 There’s something for the whole family at Marlboro Fitness and Martial Arts. You and your kids can even have exhilarating workouts simultaneously! We also provide Zumba for adults. The Latin rhythms and creative movements blend into in an inspiring, calorie-burning workout that’s totally addictive. Although there’s a special energy that is felt in group exercise classes, you have the option of working with Marlboro Fitness and Martial Arts certified and accomplished personal trainer if you prefer a more personalized one-on-one approach. A private room is dedicated to personal training so that no one is uncomfortable working out in a busy weight room. Whatever your fitness needs, we are here to help you attain your goals. Come discover Marlborough’s Marlboro Fitness and Martial Arts as well as our distinguished Martial Arts program. Marlboro Fitness and Martial Arts is a family-owned and operated business, conveniently located at 282 East Main Street in Hosmer Plaza at the intersection of Route 20 (Boston Post Road) and Hosmer Street. Plenty of parking is available in Hosmer Plaza. Come have fun and learn from the best at the Marlboro Fitness and Martial Arts in Marlborough, Massachusetts!